First, cut all of your pieces to length as listed in the cut-list. The first part of the bed we’ll work on is the rounded piece of the headboard. 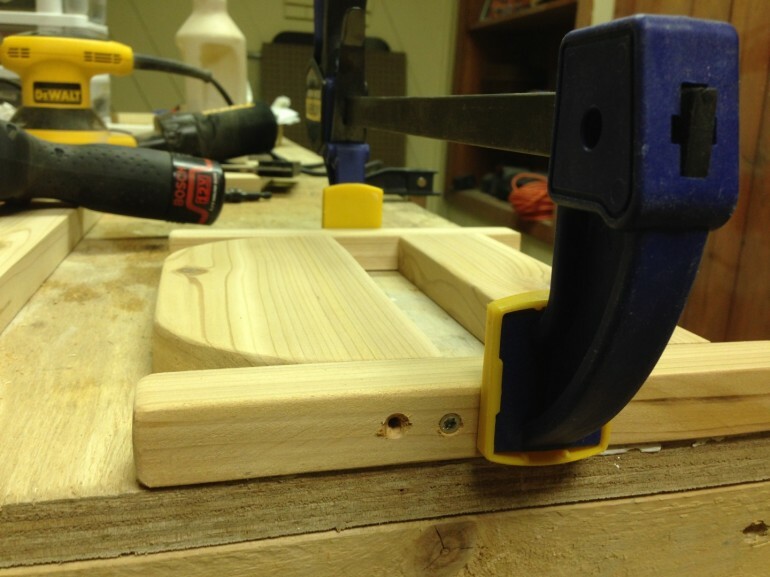 To mark my curve for the rounded corners, I made a mark 2 inches down on the side and 2 inches in on the top. 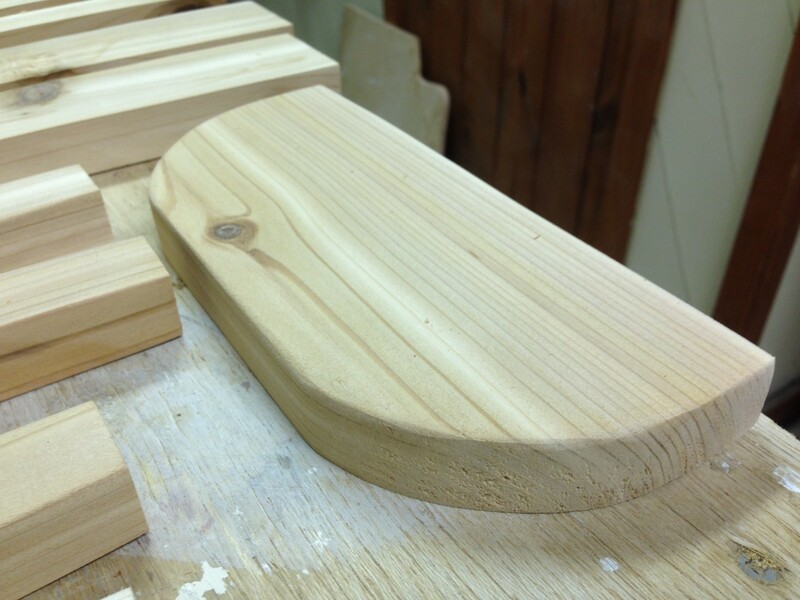 I then placed a bowl down so that it’s edge was touching both of my marks and then traced along the curve. You can use anything with a circular shape to make this trace. 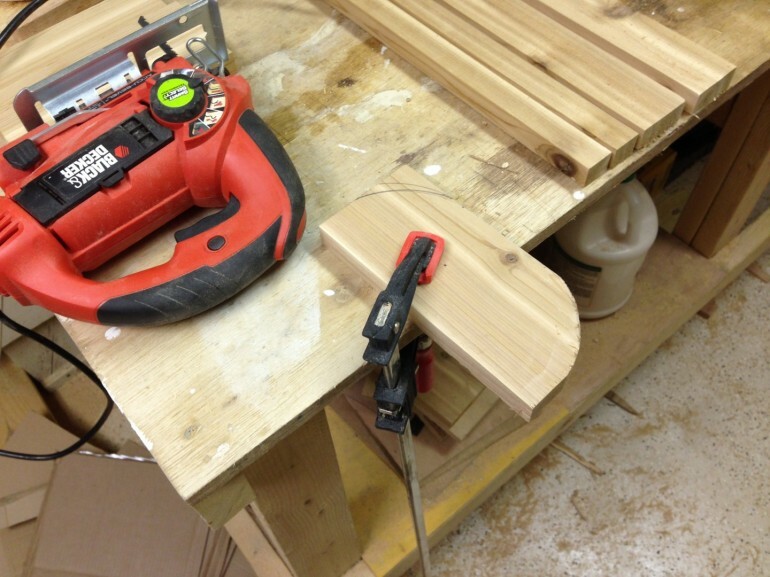 Once you have a curve that looks good to you, go ahead and cut them out using a bandsaw or jigsaw. Now we can begin assembling the bed. 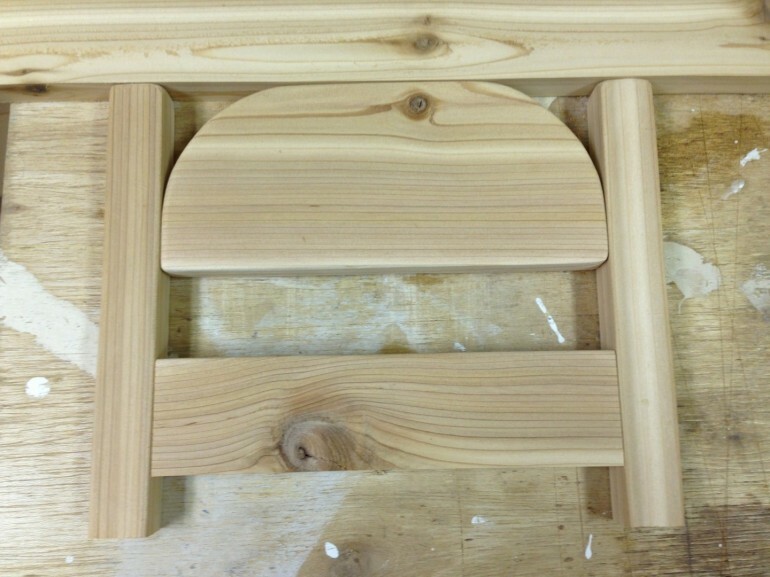 We will begin with the headboard. 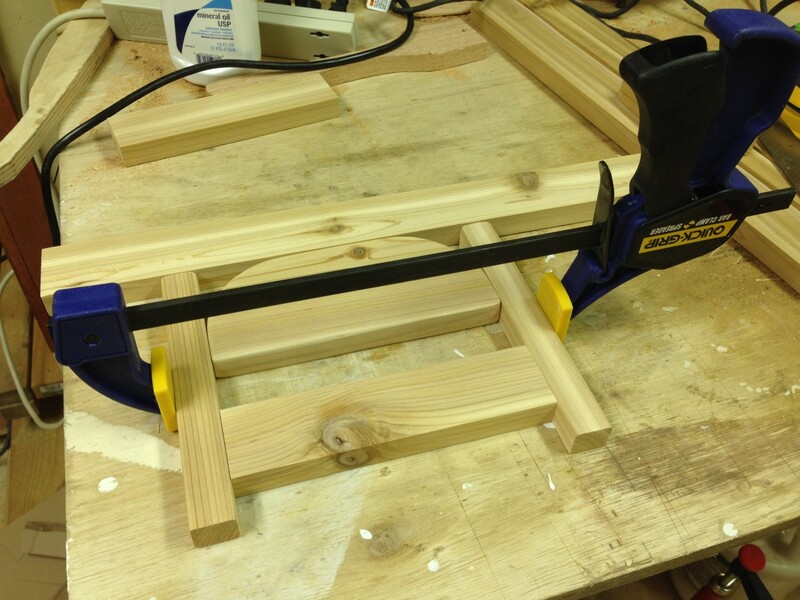 Once the headboard is laid out, use a clamp to hold the pieces together. 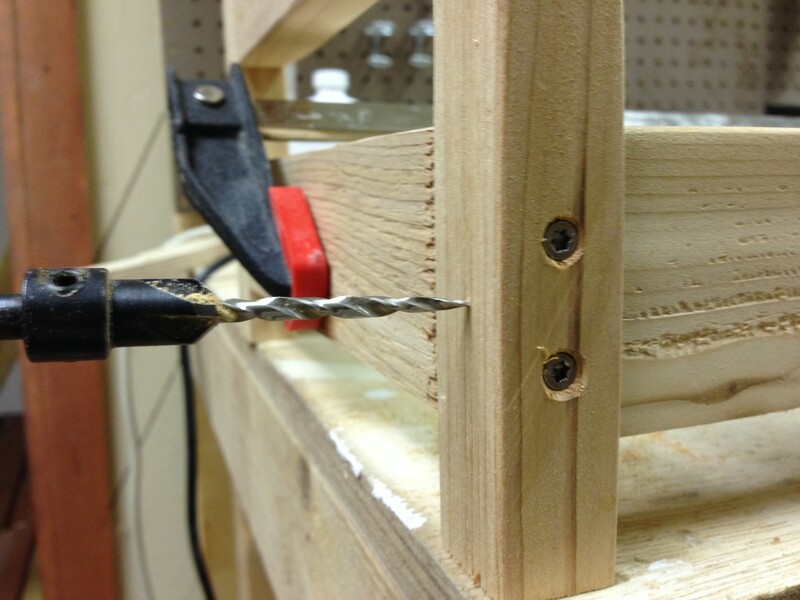 This will allow us to attach the pieces with screws without worrying about movement. 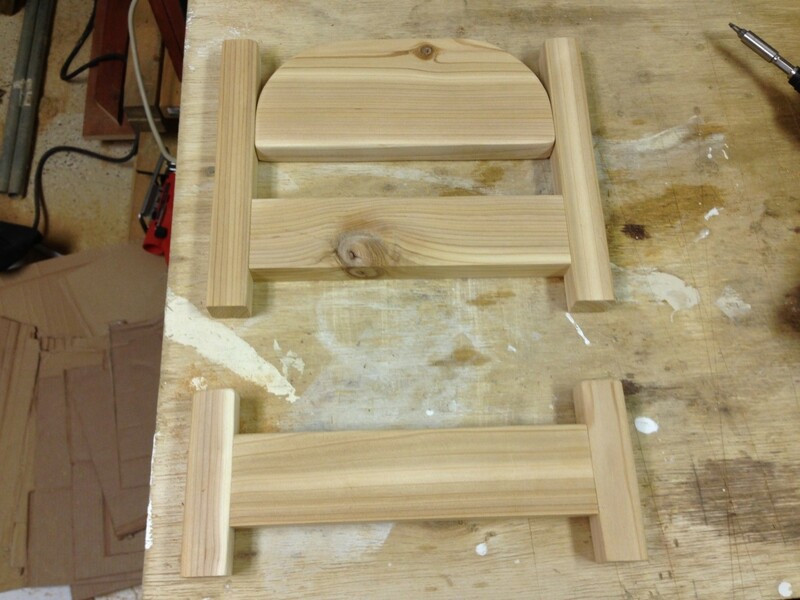 First attach the top piece with 2 screws on each side. When you screw in the bottom piece, be sure to leave room for the screws that will be inserted perpendicularly later on. If you need an idea of what this spacing looks like, read ahead to that step in this article. Now we can quickly assemble the footboard. 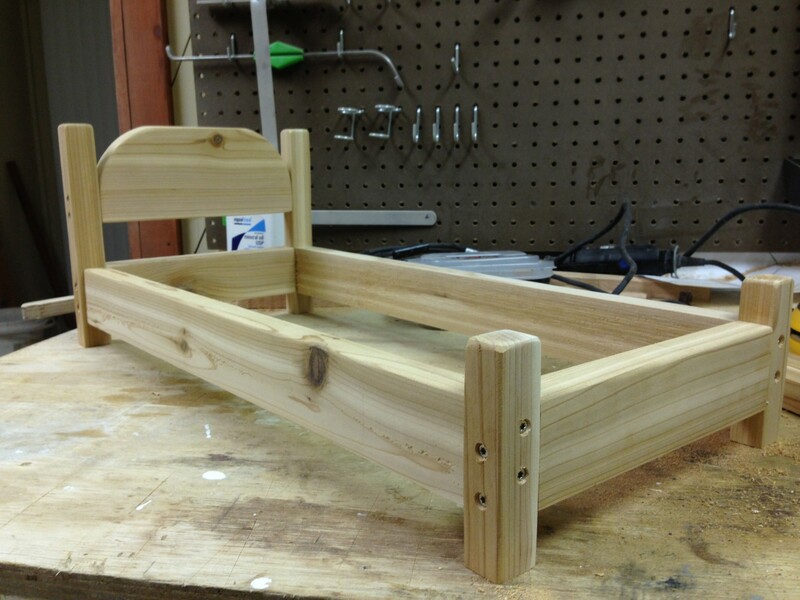 The footboard consists of our (2) 1×4 inch pieces and (1) 2×8 inch piece. 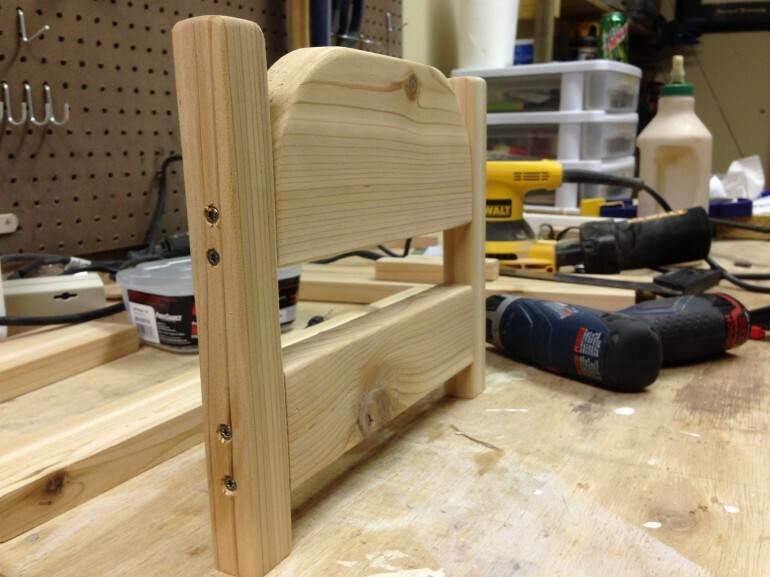 Use the same method as used on the headboard. 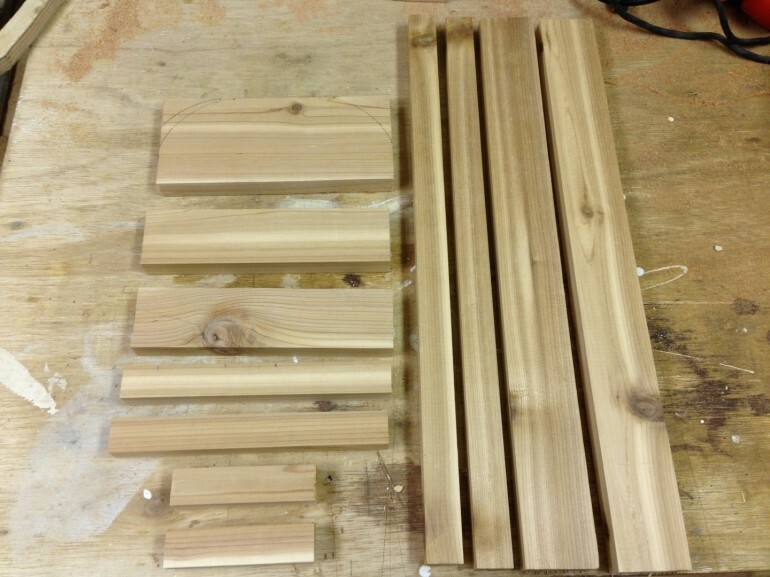 Place the 2×8 piece 1 inch from the bottom, clamp the pieces in place, and attached everything with 2 screws on each side (once again be sure to leave room for screws that will be added perpendicular to these). At this point, we’ll connect the headboard and footboard using the 2×20 inch pieces. I used a long clamp with a small amount of pressure to maneuver them into position. 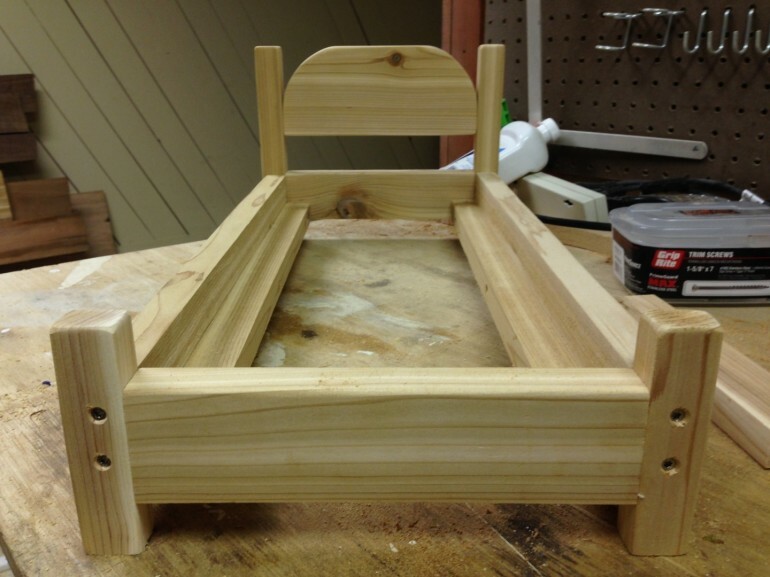 Position the sides so that they are flush with the 2 inch headboard and footboard pieces. Once everything is in place, tighten the clamp to keep it all from moving while we attach the pieces with screws. This is the slightly tricky part. We left plenty of room between our screws in the previous steps so that we could add 2 screws perpendicular to the ones already in place. 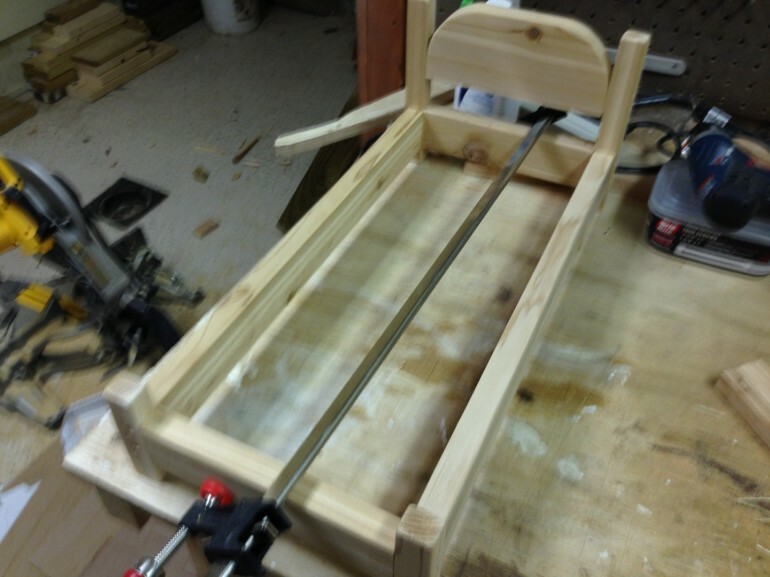 All that is left to do is to attach the 1×20 inch pieces to the bottom on the inside of the frame. 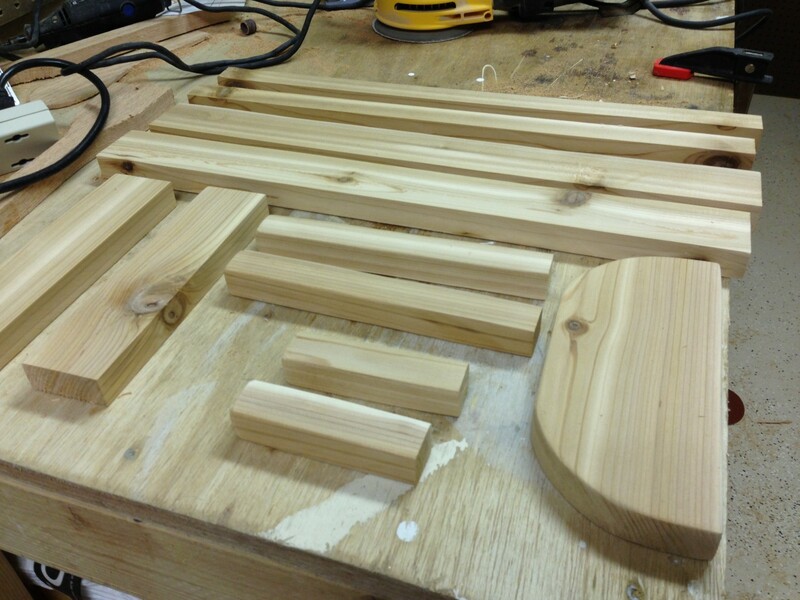 These pieces will act as cleats for holding a thin sheet of plywood to support the bedding. 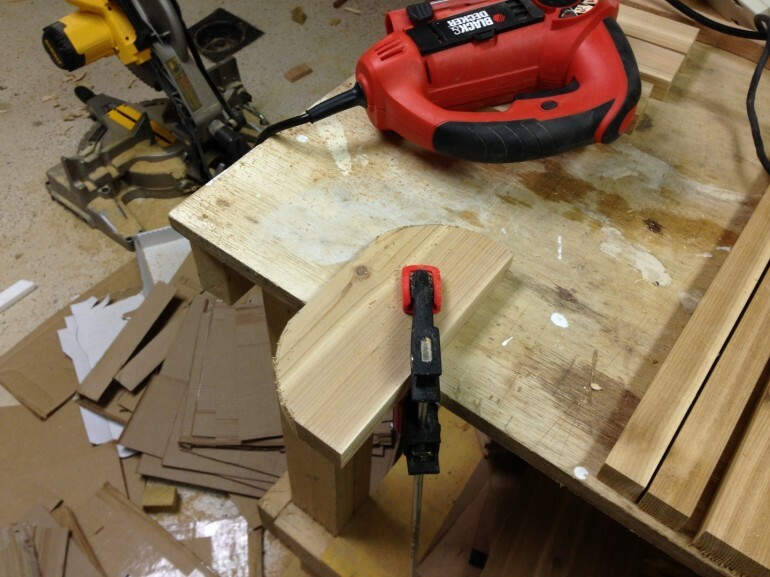 I used wood glue and clamps to attach the cleats; however, if you do not have wood glue, you can use a few trim screws along the length of the cleats to attach them to the base. With the cleats attached, cut the plywood to size and place it inside the frame. 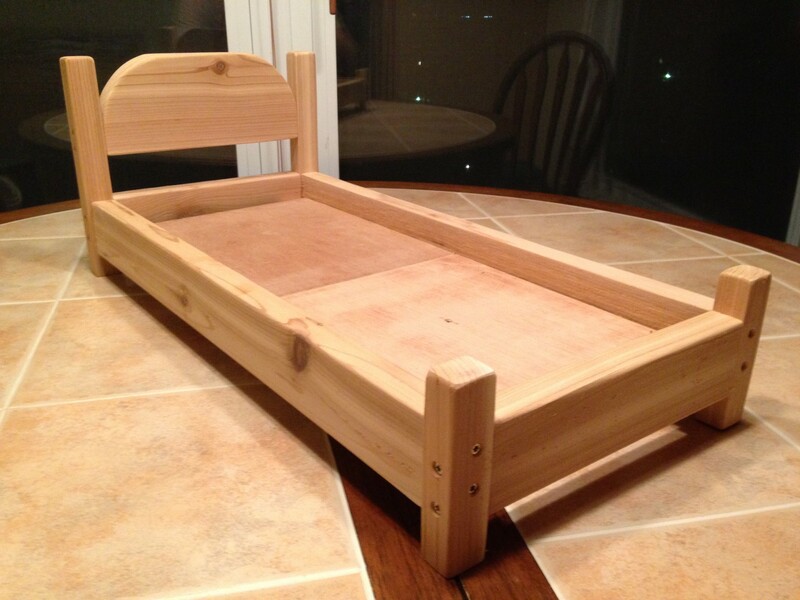 This will give you a platform to place the bedding of your choice. You can use whatever bedding you like: sheets, towels, memory foam, etc.